Groups of visitors from Singapore, Holland, England, Canada, the United States, and Finland participated this past month in tours of Samaria organized by the Lev HaOlam Organization and guided by the organization’s founder, Attorney Nati Rom. The tours began in Rom’s home in Esh Kodesh in Binyamin and from there the group traveled to various places throughout Judea and Samaria including wineries, the Achiya farm, and other places. 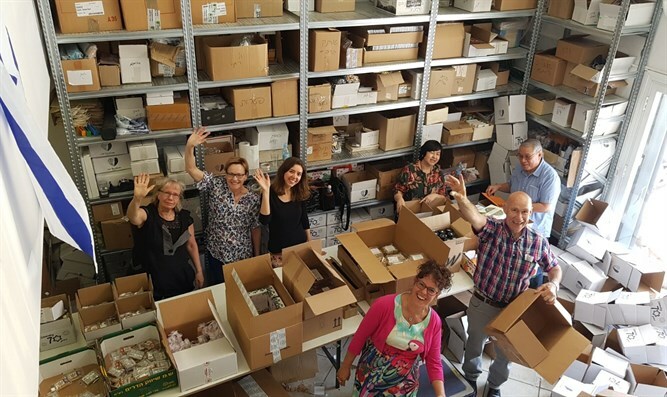 The groups finished their tours at Lev HaOlam’s warehouse where thousands of packages are prepared and shipped every month to Israel supporters around the world. The packages include a variety of products from local businesses in Judea and Samaria such as soap from Kochav HaShachar, cosmetics, jam from Gush Etzion, and more. Attorney Nati Rom stated, “It was very special for me to meet such a wide variety of people from distant places who came with open minds interested in learning about the land, its history, and its future. The exposure they gain during the tours quickly shows them that everything the BDS has told them is lies.